Basket Strainers find wide application in pipelines that require a high flow capacity. To service a basket strainer, the cover can be removed so technicians get immediate access to the filtering element (cage) if it needs replacement (due to cumulated debris). 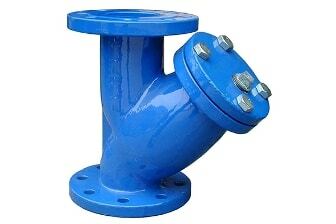 These types of strainers are also manufactured in the variant of, which consists of two parallel basket strainers that facilitate the maintenance of the strainers in conditions when the flow of the line cannot be stopped.